New York City has the worst response time for Freedom of Information requests of any state in the USA. Anyway, that's what it seems to me. Crazy as it seems, government agencies in New York can blatantly refuse to hand over public documents — have a court rule against them — and still take up to nine months to decide whether it will appeal, thereby getting all the time to conceal the sought-out information. The situation is intolerable, must be remedied and the solution is readily available, just needing the signature of Gov. Andrew Coumo. That’s because, earlier this year, the state Senate and Assembly did the sensible thing and passed legislation that would considerably shorten the timeframe from a judicial ruling to when an agency must decide whether to appeal. The time frame would be narrowed to two months. The governor must sign the bill at once because time is running out. With a Dec. 11 deadline looming, Cuomo has had months to consider the matter after the Assembly passed a bill sponsored by Assemblyman David Buchwald, D-Westchester, and the Senate approved the same legislation sponsored by Senator Michael Ranzenhofer, R-Amherst. When court cases drag out for months, if not longer, the information sometimes becomes moot even if the request is ultimately approved. A speedier resolution also tends to reduce court costs. 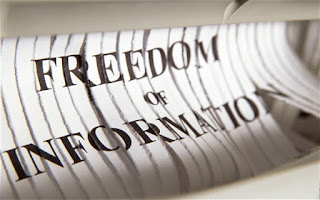 The state has affirmed the right for people to have access to information through theFreedom of Information Law. The press and public make great use of this law to get a hold of all sorts of documents, ranging from health and environmental concerns to planning and development matters. 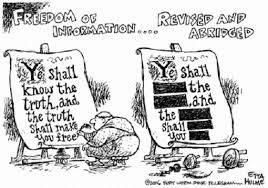 The statute puts the burden on government agencies to explain why a document shouldn’t be disclosed; the burden is not supposed to be on the public to make the case why a document should be made available. Too often, public officials fail to grasp this concept and have to be tested through the courts. Timely rulings in these matters are imperative. The New York News Publishers Association — of which the Poughkeepsie Journal is a member — has joined a long list of organizations advocating for speeding up final determinations on so-called FOIL requests. They include The Pace Environmental Litigation Clinic, Inc., The Brennan Center for Justice at New York University School of Law, The League of Women Voters of New York State and the state Committee on Open Government. That’s some fine company. On behalf of a better, more accountable government, the governor should not only join in this effort, he should lead with his signature.